Andre Brink’s career has run parallel to developments that took his native South Africa from a state marked by apartheid—the government policy that maintained a system that disenfranchised, exploited, and radically oppressed all nonwhites in the country—to the dismantling of this system of racial injustice. Through his work, he has promoted an awareness of the problems of his society, explored their roots, and expressed opposition to repressive authorities, and now enjoys the freedom to explore a delight in storytelling. Brink was an existentialist when he began writing, citing Albert Camus among his significant influences. He developed a social conscience that was reinforced by strong reactions against his work, notably in the form of state censorship. In a country where Afrikaans was the language of whiteness, and hence of power, he was the first Afrikaner writer to be censored (for Looking on Darkness, 1973). He continues to write significant works today, the most recent of these being Other Lives (2008). Banned for His Conscience. Returning to South Africa, Brink gained prominence as a spokesperson for the ‘‘Sestigers,’’ a group of largely antiestablishment authors who wrote in Afrikaans. In the late 1960s Brink returned to Paris where, he relates, he found himself in the midst of the student revolt of 1968 and reevaluated the writer’s role in society, concluding that he needed to return to South Africa to, as he put it, ‘‘assume my full responsibility for every word I write, within my society.’’ The Generation of ’68, as the students who revolted in Paris and elsewhere throughout France and Germany have come to be known, sought above all a more equitable society, a new distribution of power in their respective countries. For Brink, Looking on Darkness resulted. The work brought intimidation and harassment in the form of censorship, state confiscation of his typewriters, and death threats from white supremacists of all stripes. These reactions served to strengthen Brink’s convictions, however, and he began to write all his work in English in order to permit publishing outside his country, and to acquire a wider, international readership. His method since has consisted of writing in both Afrikaans and English, translating back and forth. A Professor and a Decorated Writer. Brink was a faculty member in the Afrikaans and Dutch department at Rhodes University from 1961 until 1990, and became a professor of English at the University of Cape Town in 1991. He was president of the Afrikaans Writers Guild (1978-1980) and won recognition abroad with several awards, among them, the Medicis etranger prize (France) and the Martin L. King Memorial Prize (UK) for A Dry White Season in 1980. Further formal foreign recognition followed, especially in France, where he was named Chevalier, Legion of Honor 1982 and Commander, Order of Arts and Letters in 1992, distinctions that have allowed him to take a place alongside fellow South African writers like J. M. Coetzee, Nadine Gordimer, and Athol Fugard. In recent years, Brink has continued to win and receive nominations for a number of important literary awards and fellowships, including a Commonwealth Writers Prize for The Other Side of Silence (which he won in 2003). He is currently a professor emeritus of English at the University of Cape Town, where he continues to write. He has also published a wide variety of both literary criticism and journalism. J. M. Coetzee (1940—): A prominent South African novelist and essayist whose works describe his feelings of alienation from fellow Afrikaners. He won the 2003 Nobel Prize in Literature. Tobias Wolff (1945—): An American writer whose memoir This Boy's Life was a huge popular success and whose novel Old School gained a fair deal of critical acclaim. Cyprian Ekwensi (1921-2007): A Nigerian writer credited with pioneering the Nigerian novel. Nelson Mandela (1918—): The first democratically elected president of South Africa, Mandela was a strong antiapartheid activist—for which he served years in prison under the racist white regime. Bob Dylan (1941—): An American poet, songwriter, and musician, Dylan's songs captured, defined, and influenced the sentiments of the 1960s. As an emerging Afrikaans novelist in the late 1950s and early 1960s, Brink almost single-handedly modernized Afrikaans novel writing. Arguably the most eclectic South African writer at the time, he knocked the conservative Afrikaans literary tradition out of complacency with themes and techniques drawn from writers like Camus, Samuel Beckett, Jean-Paul Sartre, Vladimir Nabokov, Henry Miller, William Faulkner, Graham Greene, and Lawrence Durrell. In 1974, the Afrikaner establishment was hit by the sensational news that Brink’s Kennis van die aand, later translated into English as Looking on Darkness, had been banned. The banning created a major division between the state and many of the country’s Afrikaans writers, and introduced a new era of increasingly vocal dissidence from within the establishment. European publication of Looking on Darkness coincided with the Soweto riots of 1976, and the novel became something of a handbook on the South African situation. The Soweto riots began as a peaceful protest against racist language policies in black schools, but ended with somewhere between two and six hundred dead, and became a turning point in the struggle for liberation in South Africa. Brink himself remarked afterward, ‘‘Looking on Darkness elicited much comment because it is one of the first Afrikaans novels to openly confront the apartheid system. This account of an illicit love between a ‘Cape Coloured’ man and a white woman evoked, on the one hand, one of the fiercest polemics in the history of that country’s literature and contributed, on the other, to a groundswell of new awareness among white Afrikaners of the common humanity of all people regardless of color. In numerous letters from readers I was told that ‘for the first time in my life I now realize that ‘they’ feel and think and react just like ‘us.’’’ Far more significant in politically challenging racism, of course, was the activism of anti-apartheid activists like Nelson Mandela and Bishop Desmond Tutu, but Brink’s role in making whites see as constructed a division many imagined to be simply natural was certainly not without importance. ‘‘African Magic Realism’’. Brink’s early career was spent producing work in Afrikaans. The banning of Looking on Darkness was a turning point that forced Brink to work also in English in order to maintain a readership; this, in turn, helped him focus on his subject: South African society, roots, and realities. It marked the beginning of a style Brink has referred to as ‘‘African Magic Realism.’’ Magic realism is a style of writing that involves so-called magical elements in an otherwise realistic text. Brink uses the technique in order to blur the borders that separate life from death, reality from dreams, and fantasy from reality. The House of Spirits (1982), a novel by Isabel Allende. Told from the perspective of two protagonists, this novel incorporates elements of magic realism as it retells the history of four generations of a single family. Big Fish (2003), a film directed by Tim Burton. In this film, Will Bloom tries to discover the truth about his father's life, somewhere amid all the exaggerated tales he's been told through the years. Life of Pi (2001), a novel by Yann Martel. In this novel, young Piscine Molitar is stranded on a lifeboat in the middle of the Pacific Ocean with an orangutan and a tiger named Richard Parker. Brink is a prodigious, multitalented literary figure. In addition to plays, travel writing, and critical work, he has written sixteen novels and translated a great many works into Afrikaans. Despite three nominations for the Nobel Prize in Literature, Brink is disliked by many Afrikaans writers and critics in South Africa, not because of his outright moral opposition to apartheid, but for what is regarded as sentimentality and sensationalism in his writing. There is no doubt that Brink’s writing is extremely uneven. Critics agree that his novels tend to be flawed in some respect or another, and Brink has a singular penchant for placing gauche and inane statements in the mouths of his characters; likewise, his rendition of sexual experience is often seen as cliche-ridden and tasteless. However he has written some of the most powerful stories to emerge in recent South African letters, and literary activism played a significant role in the struggle against apartheid. 1. Brink discusses apartheid practices in South Africa in relation to racism in the United States. Research the history of apartheid in South Africa—its causes and its manifestations. Then, in a short essay, compare apartheid in South Africa in the 1960s to present-day manifestations of racism in the United States. 2. Read Looking on Darkness. Based on your reading of the text, why do you think the South African government banned the book? 3. Magic realism is an important element in a number of Brink’s works. Read several passages from Imaginings of Sand. Discuss how magic realism is (or is not) different from fantasy. Create a list of elements that define each genre to help clarify your discussion. 4. Watch the movie adaptation of A Dry White Season, then write a short essay comparing the film and the book. What does a medium like film allow the director to highlight or focus attention on? If you look at the film as an interpretation of the meaning of the novel, what key insights do you think director Euzhan Palcy makes? Cope, Jack. The Adversary Within: Dissident Writers in Afrikaans. Cape Town: David Philip, 1982. February, V. A. Mind Your Colour: The ‘‘Coloured’’ Stereotype in South African Literature. Boston: Kegan Paul, 1981. Jolly, Rosemary Jane. Colonization, Violence, and Narration in White South African Writing: Andre Brink, Breyten Breytenbach, and J. M. Coetzee. Athens: Ohio University Press, 1996. Kossew, Sue. Pen and Power: A Post-Colonial Reading of J. M. Coetzee and Andre Brink. Atlanta: Rodopi, 1996. Ward, David. Chronicles of Darkness. New York: Routledge, 1989. 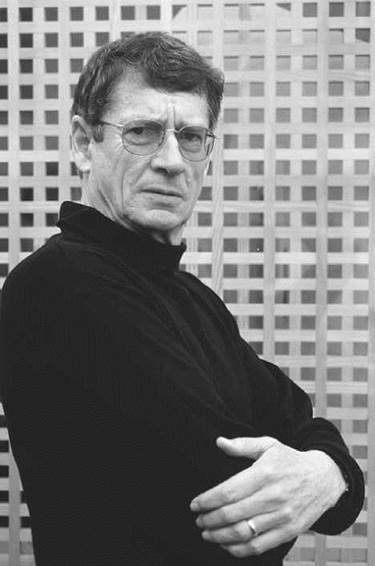 Coetzee, J. M. ‘‘Andre Brink and the Censor.’’ Research in African Literatures (1990). Gordimer, Nadine, Es’kia Mphahlele, and Andre Brink. ‘‘South African Writers Talking.’’ English in Africa (1979). Jacobs, J. U. ‘‘The Colonial Mind in a State of Fear: The Psychosis of Terror in the Contemporary South African Novel.’’ North Dakota Quarterly (1989). MacDermott, Doireann. ‘‘A Narrow Beam of Light: A Reading of Two Novels by Andre Brink.’’ World Literature Written in English (1988). Peck, Richard. ‘‘Condemned to Choose, but What? Existentialism in Selected Works by Fugard, Brink, and Gordimer.’’ Research in African Literatures (1992).